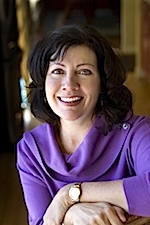 Drawing upon her lifelong career in public relations and marketing, and currently running her own Boulder-based consultancy, Wells Communications, Michele Wells is very involved in strategy, and some project execution, as a valued counselor to Lennox Associates Managing Director Bob Wells (she’s also his wife). You can read more about Michele, her current work, and her background, on her company’s website. Michele brings particular acumen and experience to our work with consumer (B2C) products and services. Her adept and well-honed skills at media relations have also provided a useful and inspiring example to us as well.